If you’ve got eggshells and you’ve got a garden, you’ve got a brilliant recycling program waiting to happen. You can use eggshells in gardening to enrich soil, and it’s so easy. 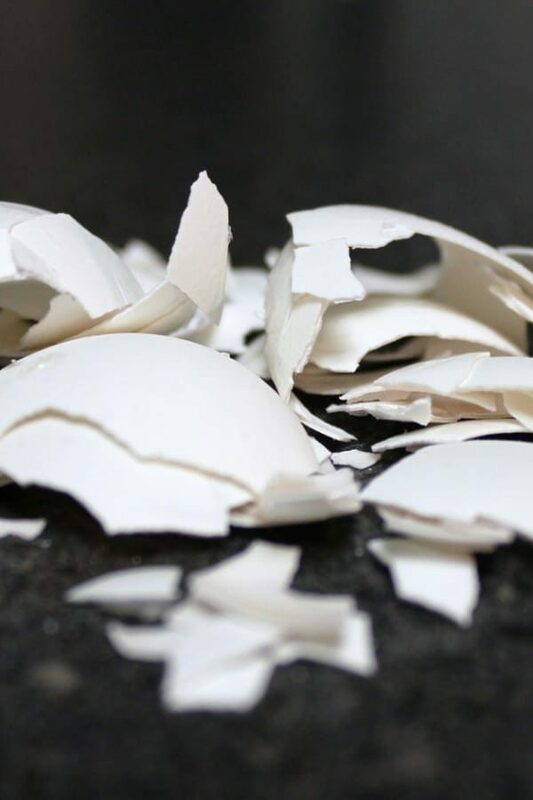 It turns out eggshells impart vital nutrients to soil, particularly calcium and potassium. Fast-growing plants deplete the soil of calcium very quickly, so giving them a source of new calcium helps. Egg shells make a fantastic fertilizer for outdoor flowers, vegetables and fruit trees. All you need to know is the best way to use eggshells in your garden – and that’s simple. I’ve been doing this for a few years now, and I do think eggshells help plants grow – especially tomato vines. I’ve also used it with various lettuces, herbs, squash and fennel. At first, I was reluctant to use eggshells around tomatoes because I’d heard the calcium would reduce the acidity of the soil. Tomatoes like acidic soil. But they grow like weeds with eggshells. I’m told by family members that eggshells also keep deer out of gardens, but I don’t get deer coming around my garden. It’s bunnies who come to my garden. And birds. Why not? They’ve gotta live, too. By the way, you may see birds eating the eggshells you’ve scattered around your plants. Don’t worry – mother birds need the calcium after laying eggs, but they won’t eat all of it. So how exactly do you go about using the eggshells in your garden? The simple answer is that you crush them. Some people recommend you boil them first to get rid of any raw egg residue, on the offchance it’s harboring bacteria that would be bad for plants. Others don’t even mention washing them in any way. And that’s how my grandmother did it. She just crushed them and sprinkled them around plants. I rinse mine under the tap to get the visible egg residue off and don’t worry about what I can’t see. I haven’t had any problems so far. 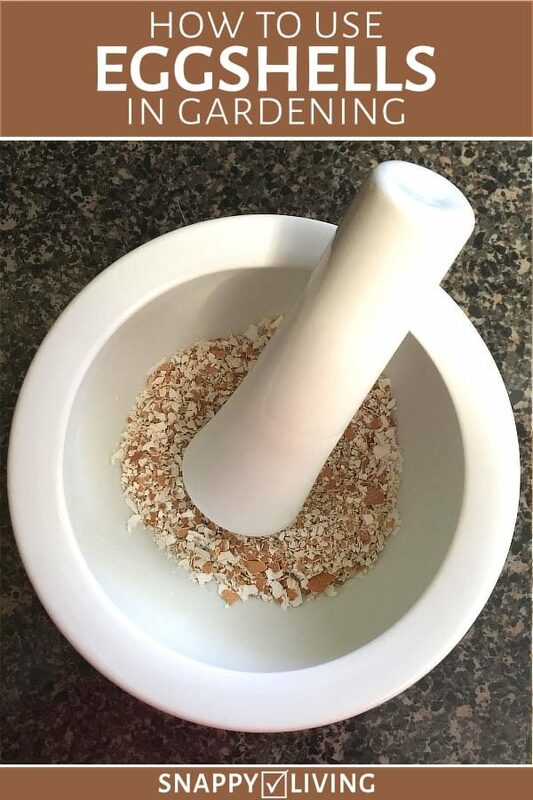 You can crush the eggshells with an electric chopper or a mortar and pestle. 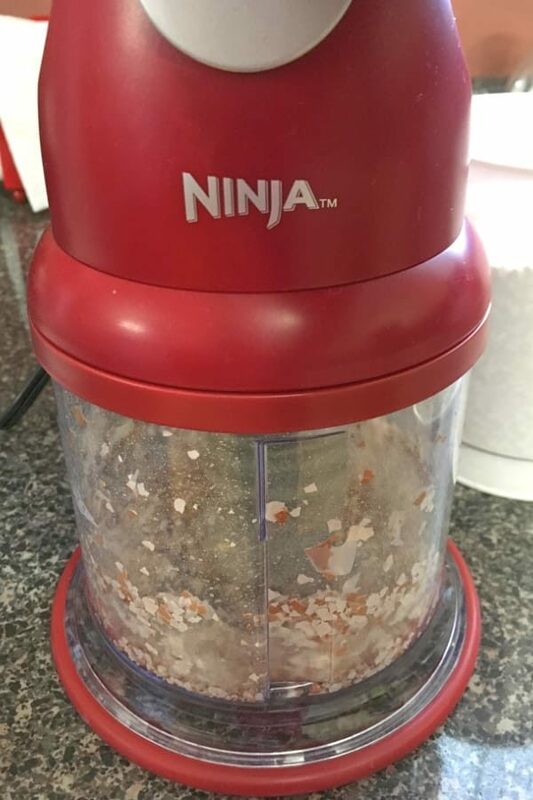 I’ve used my Ninja Chopper and my mortal and pestle from World Market (pictured above), which is no longer made and has been replaced with this soapstone version. This is how fine I can get them with the mortar and pestle, and this size works well enough. But it takes forever to grind them by hand. I prefer to get them finer, so they’ll break down faster. 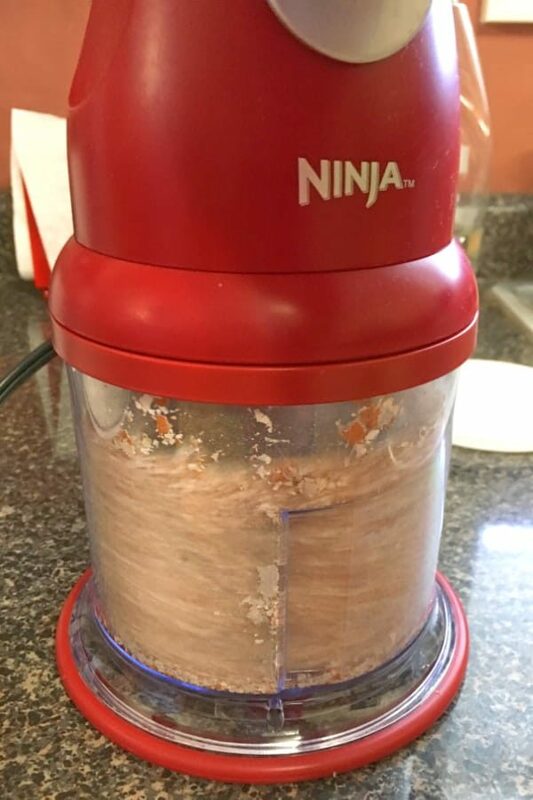 The Ninja Chopper is so fast, and they come out very fine. It’s just you have to have a lot of eggshells to get them crushed up this fine. But I’ve found a great workaround for that. 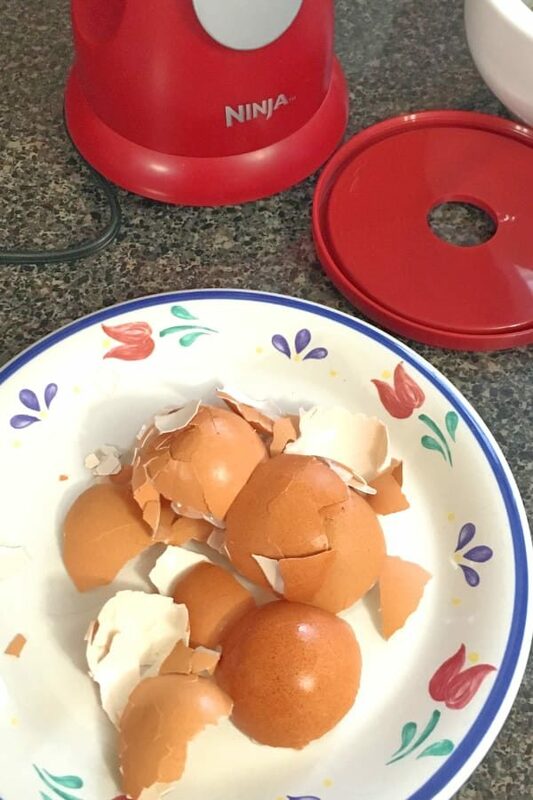 What to Do with the Crushed Eggshells? You can use powdered eggshells alongside other popular organic fertilizer solutions like used coffee grinds, old banana peels, etc. 1. Put crushed eggshells in with the soil in a planter. 2. 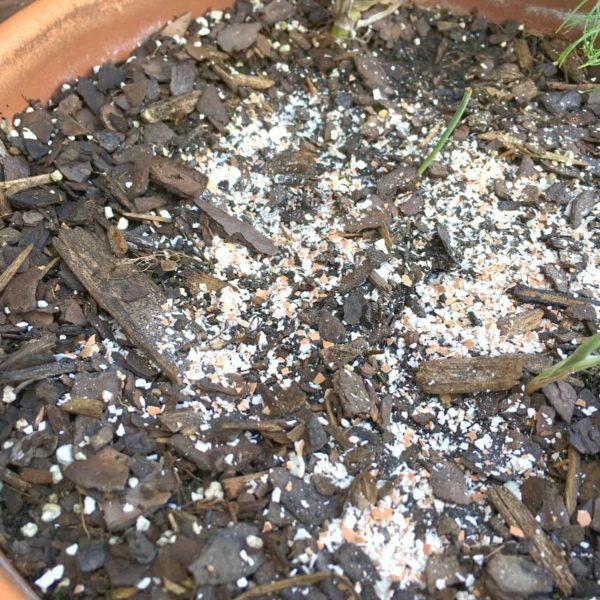 Sprinkle crushed eggshells around the base of plants. This is especially good to do in the fall so it has plenty of time to get worked down into the soil, but I do it year round, whenever I have some eggshell to use. There isn’t really a hard and fast amount to use. I just sprinkle a thin layer of the crushed eggshells around the root of the plant and a little ways out from it. 3. Dig the eggshell into the soil around plants to get it breaking down and composting faster than sprinkling. This gets it working fast. After putting the eggshells in or on the ground, water your plants (unless it’s going to rain in the next few hours). This helps the eggshell start to break down and enrich the soil. And that’s all you need to do! It’s so simple, and such a great way to use kitchen scraps if you’re not composting. 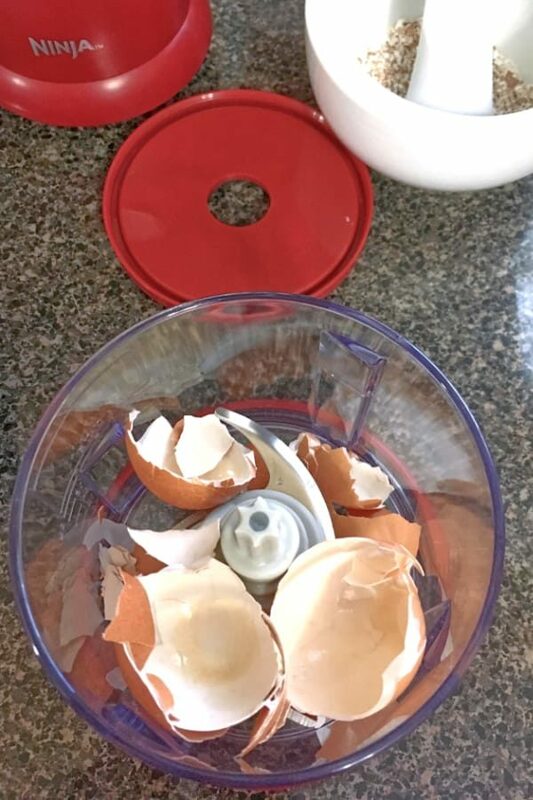 You can just dry the egg shells, then grind them in a food processor. They reduce to almost nothing. I wouldn’t worry about any egg bacteria infecting the soil. Soil is full of bacteria, fungi and enzymes, the more the better. After making around 250 crepes I had a lot of eggshells. I heard they would make a barrier to slugs and snails protecting plants. Having been invaded with striped snails no doubt hitch hikers on purchased plants, I surrounded a few with the ground egg shells, they didn’t like it but they moved right thru the stuff. 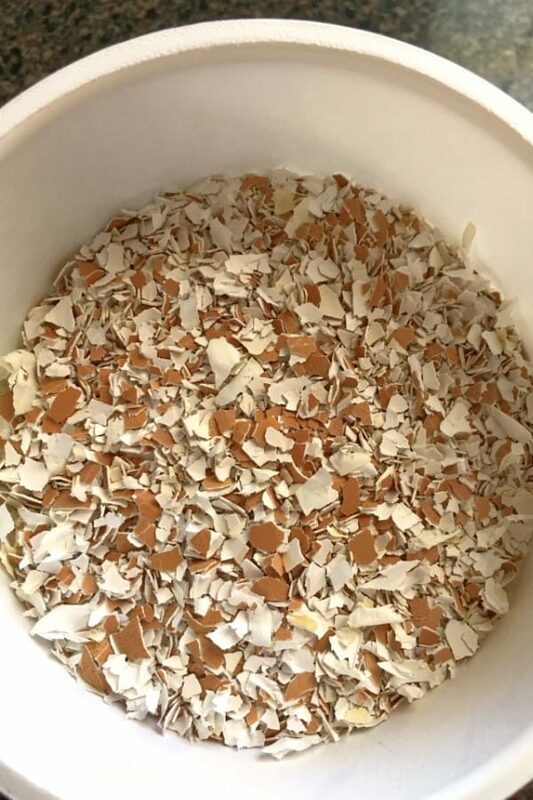 Egg shells are calcium carbonate and it takes a lot of ground shells to fill a quart jar. You could help your garden a lot quicker by just buying a bag of bone meal and spreading it around. I have been using eggshells in my flower garden for 2 years with coffee grounds. banana peels and I find my soil is developing into dark soil. Which I like, plants get bigger every year.